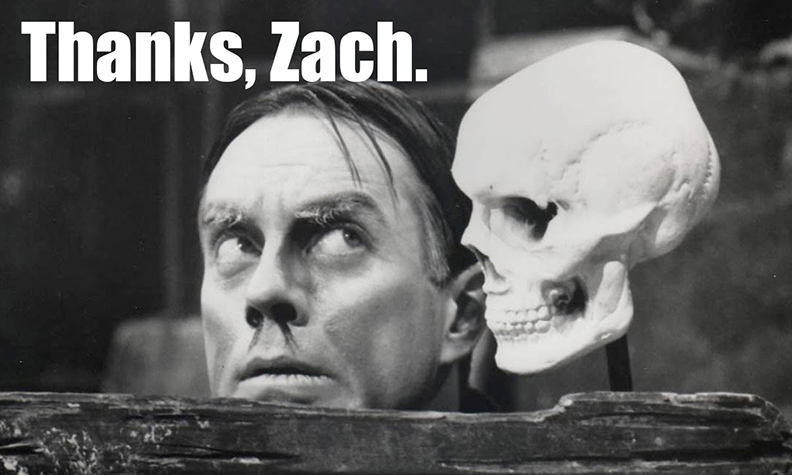 I’m still reeling with grief over the news of John Zacherle‘s passing on Thursday at age 98. John was a sweet and funny man who played a ghoul on TV, and became the best friend of monster geeks — an often friendless group — everywhere. Yesterday at the office — in the whirlwind of a ridiculous workload and a Halloween pot luck — I whipped up a Zacherle career piece (mostly a tweak of a 2010 profile I did). Read the story HERE. Below is the article as it appears in today’s edition of The Star-Ledger. Also, an account of my final encounter with John is HERE. What can I say but thanks for the memories, Zach. You truly were the Cool Ghoul.